Purple ground covering that is way more beautiful than grass. Tiny lilac bush about to bloom. Fancy tulips planted this past fall with Mouse in the Ergo pack on my back. Sweaty. 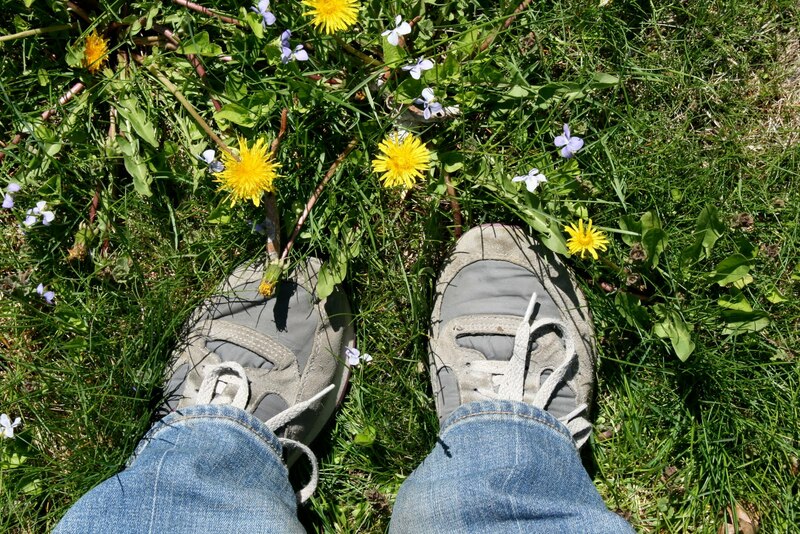 My gray feet in a field of green, yellow, and purple.